ICEBERGO is a totally free accounting suite which allows small and medium sized businesses to improve the management of their finances through the recording of data and the improvement of business finance management. 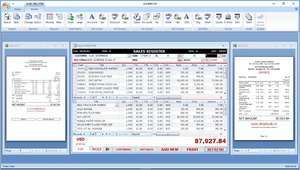 This freeware accounting program allows for simplified tax filing, asset management and improvement of profitability. The overall user interface of this application is similar to others in the category, yet without the price tag. That means office-oriented layouts including grids and calculations. Version 12.2.3 is a freeware program which does not have restrictions and it's free so it doesn't cost anything. For security reasons, you should also check out the ICEBERGO download at LO4D.com which includes virus and malware tests. Additional screenshots of this application download may be available, too.